Crescendo Young Musicians Guild is a 501(c)(3) non-profit music education and community service organization that provides quality music instruction, mentoring, and performance opportunities to students who may otherwise not have them. CYMG promotes a spirit of service while bringing students and families of all cultural and socio-economic backgrounds together to work toward a common goal: to enrich their communities through music. Education – CYMG provides music students of all socio-economic backgrounds equal opportunity access to quality music instruction and gives advanced students the opportunity to coach younger students under the guidance of professional teaching artists. Performance – All CYMG students share their music with the public and develop their confidence through multiple performances throughout the year. Service – All CYMG students serve the community through performances and workshops at charity events, in convalescent homes, children’s hospitals, and the like. 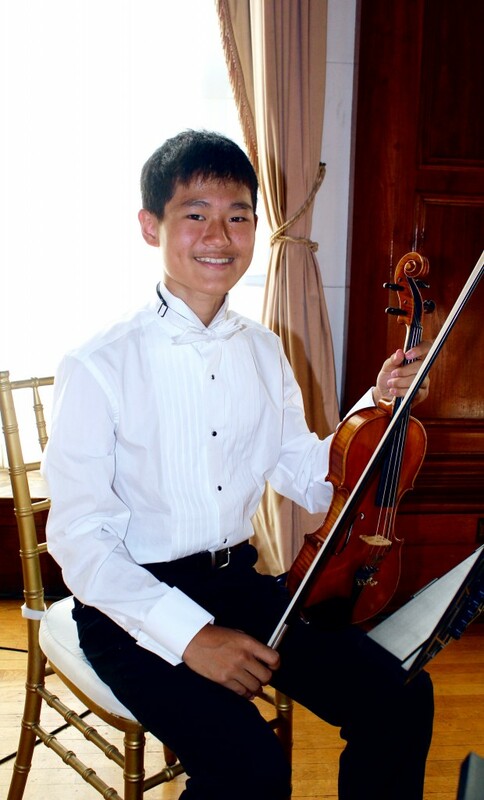 Crescendo Young Musicians Guild was founded by Pin Chen, long-time private violin teacher and current Orchestra Director of Arcadia High School’s orchestra program. In 2010, Chen was laid off from her music teaching position in the LA Unified School District, along with many other music teachers in the state, including David Diaz and Akhani Cacao, members of CYMG’s inaugural Board of Directors. Seeing a need to fill the voids in music education that have been growing over the years due to constant budget cuts in the public school system, Chen decided to take her passion for music and her belief that all students deserve quality music education, to start a nonprofit organization that would help bring music into the lives of children all over Los Angeles. Chen’s personal journey and her decision to start CYMG was featured in an episode of the television series, Jump Shipp. Chen presented Cacao with her vision and plans for Crescendo, including his appointment as Vice President. The two began working together to form and incorporate the organization in late 2010. In March of 2011, Chen assembled the other members of the Inaugural Board of Directors (Kenton Chen, Jessica Kinnevan, Jennifer Moss, and David Diaz), who began meeting to plan the beginnings of the CYMG programs. They were joined by Founding Advisory Board Chair, Becky Tsai, who was instrumental in securing the initial funding for the first year of CYMG’s programs. CYMG kicked off a series of free music workshops for the community at the LA Music Academy in June 2011 and began regular weekly classes at LAMA, St. Mark’s Episcopal Church, and Marshall High School in October 2011.